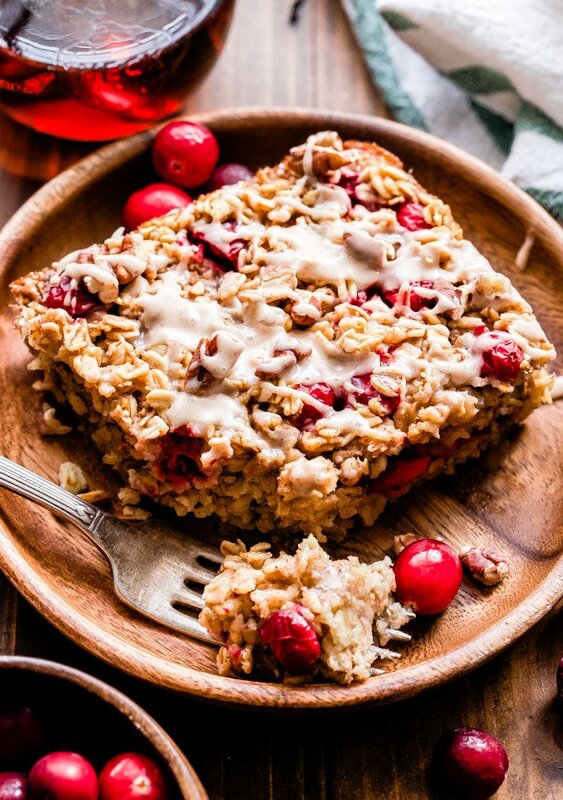 This Cranberry Maple Pecan Baked Oatmeal is perfect for Christmas morning or anytime you need a warm, cozy breakfast! I’m already starting to think about Christmas morning breakfast, which by the time we get around to eating is more like brunch. For me, breakfast is way more exciting that Christmas dinner. Then again, I’m a breakfast lover through and through. Growing up there were two things that were always on the table Christmas morning, an egg casserole, my favorite Christmas morning smoothie and usually cranberry orange muffins or some kind of baked good. It was my favorite breakfast of the year, but that also could have been because my mom only made it once a year. 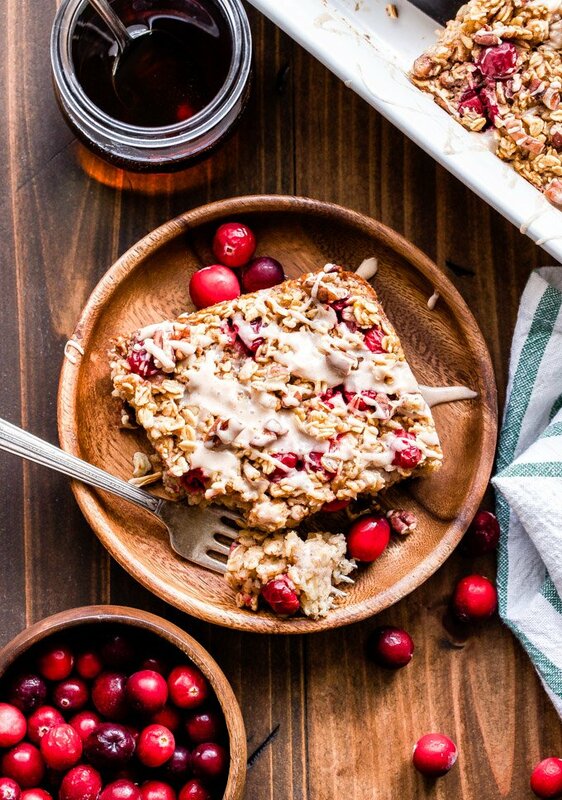 This year I plan to keep with the tradition, but instead of muffins I’ll be making this Cranberry Maple Pecan Baked Oatmeal complete with a cinnamon maple glaze because it’s the holidays and go big or go home, right? 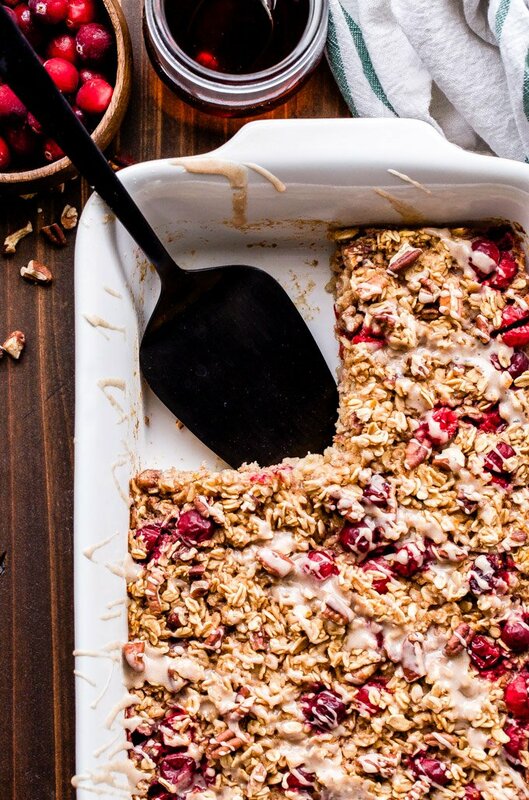 I have quite a few baked oatmeal recipes on the blog, but this Cranberry Maple Pecan Baked Oatmeal is my favorite. My husband happened to be home from work with my cold that I blessed him with the day I photographed it and actually got to have a piece while it was still warm. What you see in the photos for my recipes is not how it look on his plate. It’s usually haphazardly plopped on the plate, no garnishes, no styling and has to be reheated in the microwave. I can’t be bothered to make it look Instagram worthy for a second time. Poor guy, but hey, at least it still tastes good! After my husband finished the baked oatmeal he came up from working in the basement and told me how good the cake was. Cake? Well, I guess that’s a good thing if I made oatmeal taste like cake! Honestly though, it tastes just like Christmas. By that I mean perfectly sweet from the maple syrup, studded with tons of tart cranberries, nutty toasted pecans and a hint of orange zest to brighten it all up. 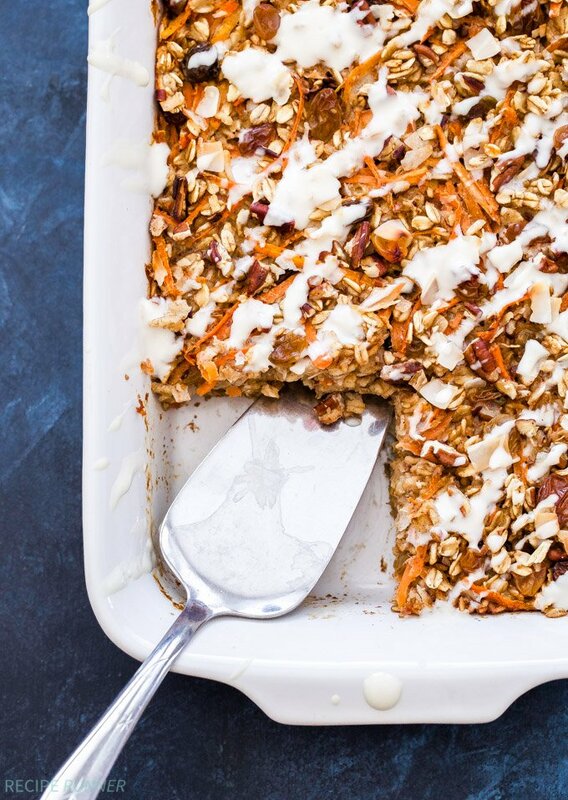 The cinnamon maple glaze is optional, but you’d be crazy not to add it on top. 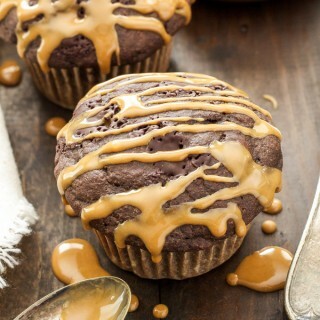 It’s so good you could eat it with a spoon and you better believe I did! 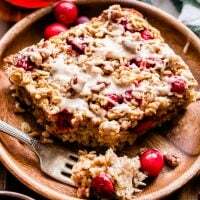 This Cranberry Maple Pecan Baked Oatmeal is a must to go alongside your favorite egg dish and mimosa on Christmas morning. Enjoy! 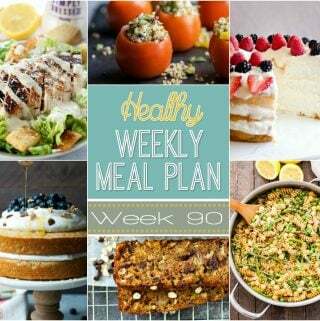 Preheat oven to 350° F. and spray a 9x9 or similar baking dish with cooking spray. 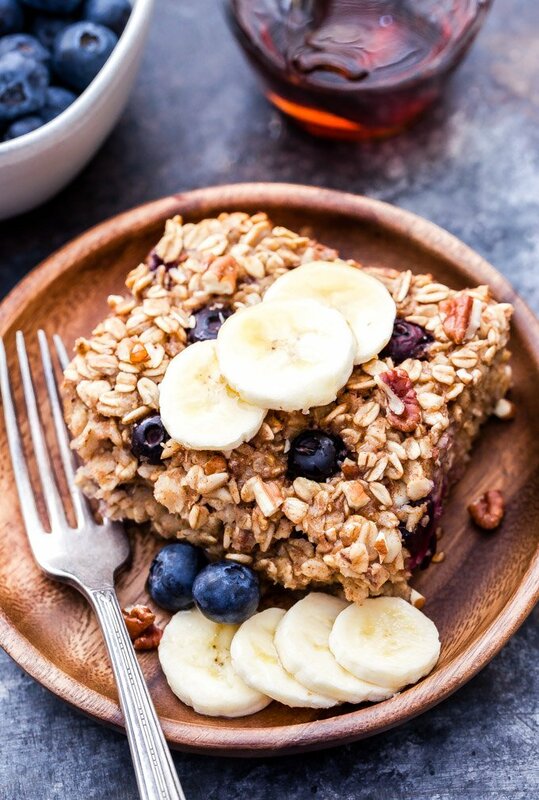 In a large bowl stir together the oats, cinnamon, baking powder, salt and pecans. In a separate bowl whisk together the milk, maple syrup, egg, orange zest and vanilla extract. Pour the wet ingredients in with the dry and stir until combined. Stir in the cranberries. Pour the mixture into the prepared baking dish and bake for 35-40 minutes or until the top is golden and the oatmeal is set. Let it rest for 5-10 minutes before serving. 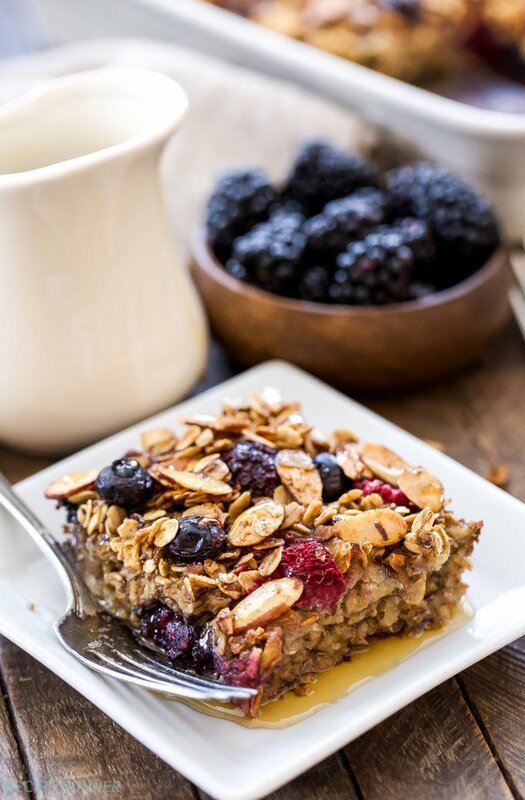 While the oatmeal rests, whisk together all of the ingredients for the glaze. Drizzle desired amount of glaze over the oatmeal. Serve with any extra glaze and maple syrup. 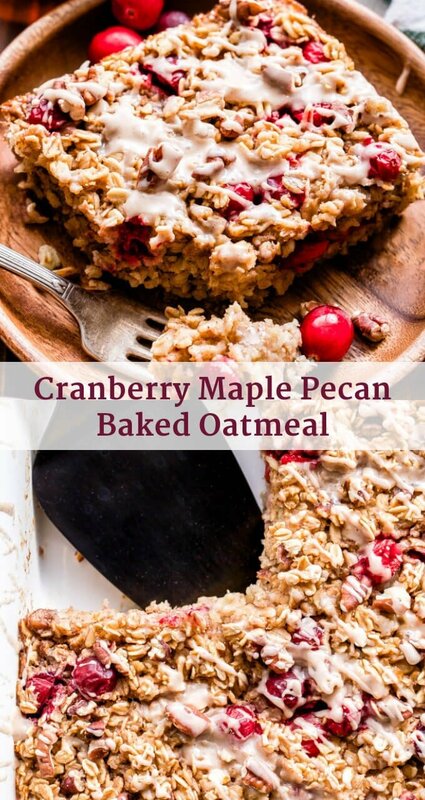 I love baked oatmeals and this cranberry version sounds amazing! 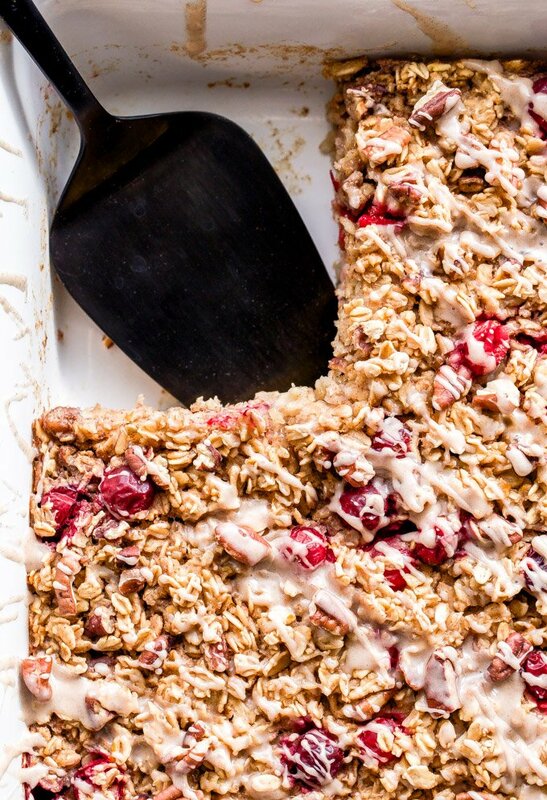 Do you think a baked oatmeal would freeze ok? I’m trying to be prepared for postpartum!